Ben Affleck Directing Solo Batman Film, But Who’s Writing It? 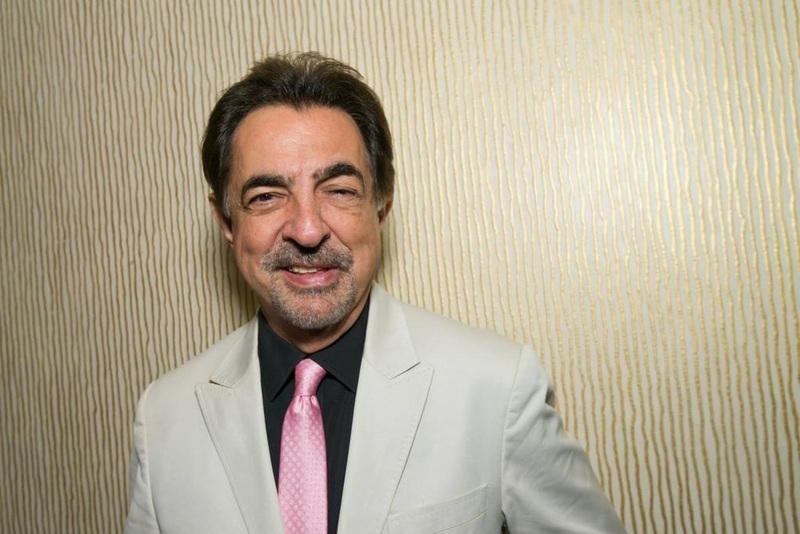 We were recently priveleged to speak with Joe Mantegna about his new film 10 Cent Pistol and his 50 year long acting career. 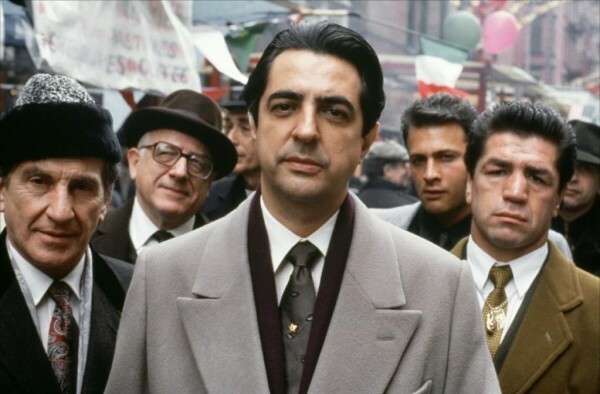 The man behind such great characters as the infamous Joey Zasa, Criminal Mind’s David Rossi and the immortal DJ Ian “The Shark” gave us his time and an incredible amount of his personal insight and philosophy. Hello Joe Mantegna this is Andrew Hawkins from CHUD. How are you sir? I’m pretty good Andrew. Thank you. AH: I’d like to talk to you today about 10 Cent Pistol and see if you’d be down for some conversation on some of the work you’ve done over the last 40 years. AH: So, I’ve seen 10 Cent Pistol and I like your role as Punchy in the film and I kinda think you and Adam Arkin and Jena Malone sort of steal the show, and what I wanted to get started with was, what really attracted you to that script and that sort of biting dialogue you have through your scenes. JM: Well you basically said it, I just liked the script. I like the writing, I like the dialogue. Y’know it was very cinematic and it was almost film noir kind of stuff. And so I mean for me, I go by the tenet of, “If it ain’t on the page, it ain’t on the stage.” So, it always starts with the script, then once you have that, then you take your shot and you hope for the best. I can’t control anything else, but I can control my decision whether I’m gonna do something based on the words that I’m reading y’know what I mean. So I liked it. I liked the character and I liked the dialogue. It just felt so smart and was interesting so I just thought this is worth a shot so let’s see how this pans out. AH: Yeah that’s kind of how it comes across. It’s sharp. it’s smart, it’s really got teeth. AH: You push that character and the situation that they’re involved in with the bonds and the crime and the drama; it’s very intense and just like his name “Punchy” you really bring some oomph to it. AH: Now you mention, “If it ain’t on the page, it ain’t on the stage.” That kind of comes across in the film. Your scenes are almost set stagewise in that house/room where you’re getting bullets out of Damon Alexander’s character. Is it sort of like for you when you’re in just one set/environment, almost like a stage play, like some of your stage work? JM: Well y’know without consciously thinking about it there’s probably some truth to that. I mean there’s something to be said about in a way you’re almost in a proscenium kind of setting when you’re doing something like that. So yeah, i mean yes and no. It’s never quite exactly the same as doing stage cause it’s just like apples and oranges with a live audience and you’re performing as opposed to film where you always have that luxury of “take two” and you know they’re going to be doing different angles and close-ups. But that’s as close as you’re gonna get in a situation like that. So I would say yeah. I think you’re right in that in those kinds of scenes it’s more of a throwback to the old noir kind of films back in the 40s and stuff like that when you probably had more scenes that were shot in two shots where it was just like you back the camera up and you had two people in a room talking to each other. That seemed a bit more the case back in the 40s than it is today y’know. And I like that stuff, I like that. AH: Yeah, and seeing how a modern film-noir takes those tropes and themes and adapts it to what we’re looking at an audience today, seeing that come across and these kind of throwbacks and nods, it’s always rewarding. AH: It makes me think, you have an incredible career on stage with Broadway, with Chicago and all of the work you’ve done over the last 40/50 years. You’ve worked with David Mamet, you’ve been on screen up against the likes of Pacino and Eli Wallach and so many more. How did you adapt doing stage into what you bring to film? JM: Well y’know it’s an evolution. It’s something you kind of almost have to learn by doing, I mean it’s an adjustment you have to make. Y’know it’s hard to almost even define it, but what it is ultimately, when you’re on stage you’re drawing all of this energy from the audience in a way and it’s a whole different dynamic as opposed to when you’re doing a film or television. You’re pouring everything into this little lens and it’s like energy’s going more from one direction to the other with nothing coming back at you, so it’s a different way of working. The best example would be like a singer who’s doing a concert in front of a live audience, talking like about Led Zeppelin playing for 400,000 people and all of the energy that creates versus being in the studio and putting that same energy into a microphone. It’s just different, but you make the adjustment. You get to learn what’s effective, what works especially when you’re working in film and television. You realize that raising an eyebrow is as powerful as a huge gesture if you were on a stage, so little things like that. But, at the end of the day James Cagney had the best line, “What’s you’re acting technique?” He says, “I look ’em in the eyes, stand up straight and tell them the truth.” That’s kind of what you have to do. AH: So that’s where you’re coming from. You’ve got a kind of sincerity, you’re really trying to portray that coming from your core where that truth comes from? JM: Well yeah, I mean it comes through me, it comes from the script. In other words when the writer writes the script he’s trying to write something from A to Z, so my job as the actor is to just try to translate that from A to Z as he wrote it. If he wanted it to be ABCD, ok well let me translate this for you through ABCD, but there’s obviously many ways to translate it. Each actor’s going to do it differently, but you’re hoping that the way you’re doing it is the way the writer intended, or maybe if he didn’t intend it, it still works and they like it. Maybe I didn’t even know it was going to go that way, but I like this where it’s going type of thing. So in other words you’re constantly translating the words into motion, so you’re just trying to be the best translator as possible. AH: You as a translator, as an actor have brought amazing characters to us and everybody who’s seen your work. Where does your intensity come from? You’ve got this way of delivering that is unique and it sets the stage for all of these others that are trying to be the wise guy, the gangster, the guy who you do not mess with. Does that come from personal experience or anywhere that you draw from? AH: I think like you say it’s just you, it’s what you do. It’s been an honor talking to you. Is there anything that you have coming up that you’d like to mention? 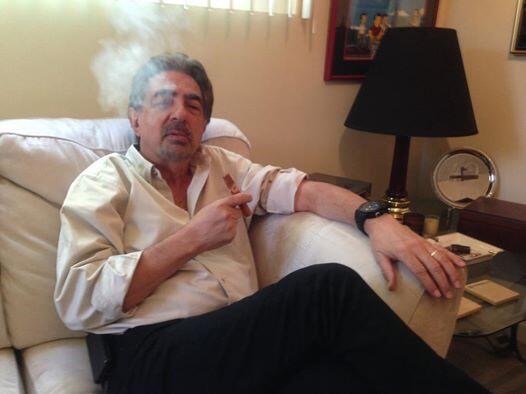 JM: Well i’m gonna be starting my eleventh season on Criminal Minds. I’ve got the show Gun Stories on the Outdoor Channel. I always am looking for these others. Like 10 Cent Pistol, I did this film quite a while ago, so whenever I have time and these little independent feature things come up and I’m able to do ’em I do do ’em. When Criminal Minds finally runs it’s course I don’t know what I’ll do. I may go back to devoting a little more time to feature films or not, I don’t know. I’ve never planned out my career. I’ve made a point and to me that’s always been the excitement of it. It’s always the scary part of it too that you never knew if there was even going to be a next or what you were gonna do next. But I’m not one of those actors, and I know many who do and I applaud them for it, the ones who say, “Oh yeah, I know I wanna do this, this and I wanna write this and develop this and I wanna produce this.” I mean, I’ve got a lot of certain things that I get involved with and I try to help move along, but there’s no real firm game plan. In other words, I like to keep open to tomorrow I could get a phone call that could change my life, so you always have to be aware that that exists as well. So, I don’t know. I feel very grateful for how it’s gone so far and I hope it continues. That’s all I can say. AH: Well stay flexible and whatever happens, happens. We’re happy to see you on film, on stage, whatever it is from Bobby Fischer to Godfather to Airheads to everything. It’s been a great time talking to you about 10 Cent Pistol and we’re looking forward to the next thing you wind up doing. Thank you for you time sir. JM: I appreciate it. Thank you very much. 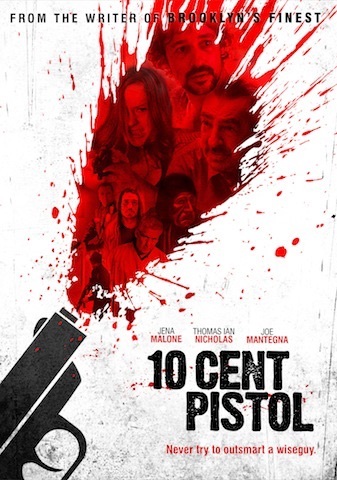 Check out 10 Cent Pistol in theaters and VOD July 24th.